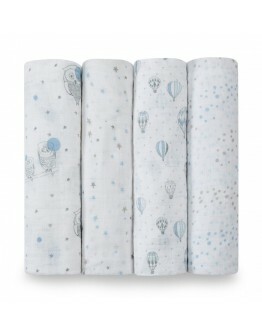 Aden & AnaisAden & Anais swaddle brilliant blueThis tetra cloth and swaddle of Aden and Anais are multi functional swaddles that are known worldwide. 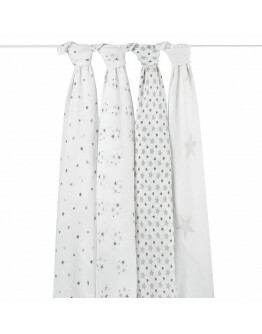 They are made of muslin very fine woven cotton, 100% organic that very soft to the touch for your baby when he is with the daily use cared. The tetra cloths are so finely woven so they are easy between the folds of baby's buttocks and ensure that your baby is beautiful spanked. 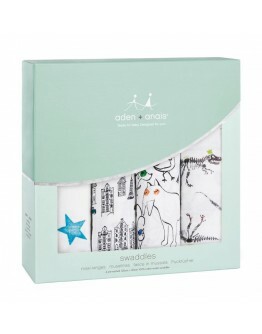 Thanks to the tetra cloth!This is 1 tetra tetra cloth towel&nbs..
Aden & AnaisAden & Anais swaddle colour popThis tetra cloth and swaddle of Aden and Anais are multifunctional swaddles that are known worldwide. They are made of muslin very fine woven cotton, 100% organic that very soft to the touch for your baby when he is with the daily use cared. The tetra cloths are so finely woven so they are easy between the folds of baby's buttocks and ensure that your baby is beautiful spanked. 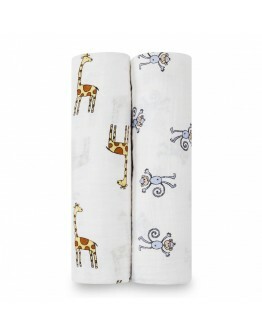 Thanks to the tetra cloth!This is a set of 4 tetra tetra cloth towel..
Aden & AnaisAden & Anais swaddle giraffe gazeThis tetra cloth and swaddle of Aden and Anais is a multifunctional swaddle that is known worldwide. 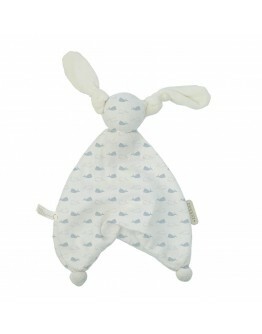 He is made of muslin very fine woven cotton, 100% organic that very soft to the touch for your baby when he is with the daily use cared. The tetra cloths are so finely woven so they are easy between the folds of baby's buttocks and ensure that your baby is beautiful spanked. 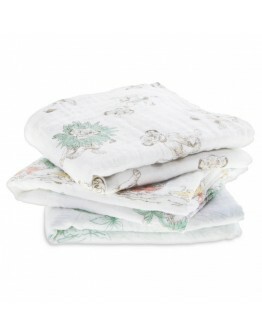 Thanks to the tetra cloth!This is one tetra, muslin cloth to..
Aden & AnaisAden & Anais swaddle jungle jamThis tetra cloth and swaddle of Aden and Anais are multifunctional swaddles that are known worldwide. They are made of muslin very fine woven cotton, 100% organic that very soft to the touch for your baby when he is with the daily use cared. The tetra cloths are so finely woven so they are easy between the folds of baby's buttocks and ensure that your baby is beautiful spanked. 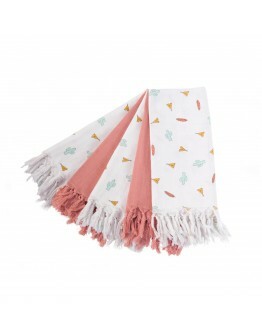 Thanks to the tetra cloth!This is a set of 2 tetra tetra cloth towel..
Aden & AnaisAden & Anais swaddle leader of the packThis tetra cloth and swaddle of Aden and Anais are multifunctional swaddles that are known worldwide. They are made of muslin very fine woven cotton, 100% organic that very soft to the touch for your baby when he is with the daily use cared. The tetra cloths are so finely woven so they are easy between the folds of baby's buttocks and ensure that your baby is beautiful spanked. 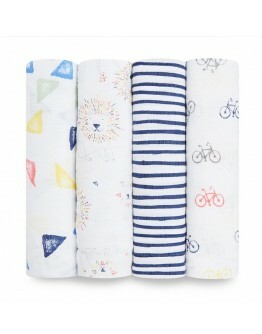 Thanks to the tetra cloth!This is a set of 4 tetra tetra clo..
Aden & AnaisAden & Anais swaddle mod about babyThis tetra cloth and swaddle of Aden and Anais are multifunctional swaddles that are known worldwide. 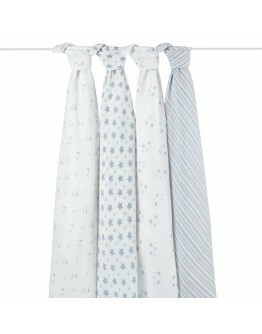 They are made of muslin very fine woven cotton, 100% organic that very soft to the touch for your baby when he is with the daily use cared. The tetra cloths are so finely woven so they are easy between the folds of baby's buttocks and ensure that your baby is beautiful spanked. 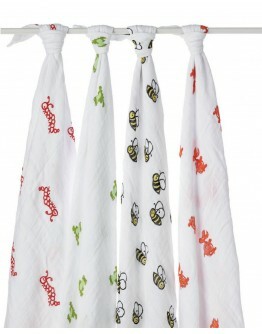 Thanks to the tetra cloth!This is a set of 4 tetra tetra cloth t..
Aden & AnaisAden & Anais swaddle - musy birdsongThis tetra cloth and swaddle of Aden and Anais are multifunctional swaddles that are known worldwide. 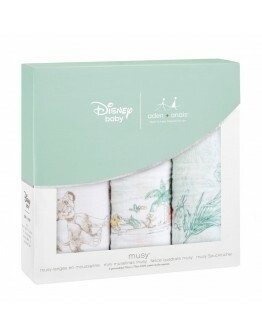 They are made of muslin very fine woven cotton, 100% organic that very soft to the touch for your baby when he is with the daily use cared. The tetra cloths are so finely woven so they are easy between the folds of baby's buttocks and ensure that your baby is beautiful spanked. 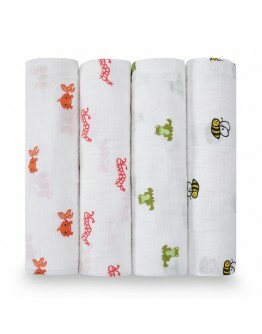 Thanks to the tetra cloth!This is a set of 3 smaller tetra clot..
Aden & AnaisAden & Anais swaddle - baby musy - The Lion King DisneyThis tetra cloth and swaddle of Aden and Anais are multifunctional swaddles that are known worldwide. 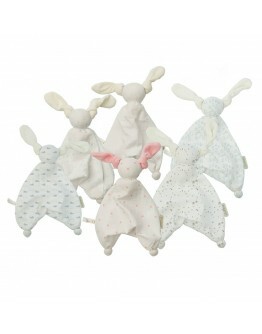 They are made of muslin very fine woven cotton, 100% organic that very soft to the touch for your baby when he is with the daily use cared. The tetra cloths are so finely woven so they are easy between the folds of baby's buttocks and ensure that your baby is beautiful spanked. 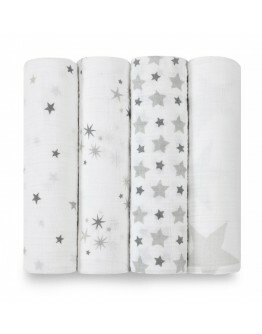 Thanks to the tetra cloth!This is a set of 3..
Aden & AnaisAden & Anais swaddle - musy twinkle greyThis tetra cloth and swaddle of Aden and Anais are multifunctional swaddles that are known worldwide. They are made of muslin very fine woven cotton, 100% organic that very soft to the touch for your baby when he is with the daily use cared. The tetra cloths are so finely woven so they are easy between the folds of baby's buttocks and ensure that your baby is beautiful spanked. 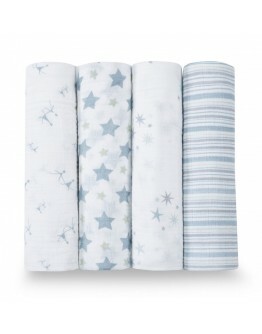 Thanks to the tetra cloth!This is a set of 3 smaller tetra ..
Aden & AnaisAden & Anais swaddle night sky blueThis tetra cloth and swaddle of Aden and Anais are multifunctional swaddles that are known worldwide. 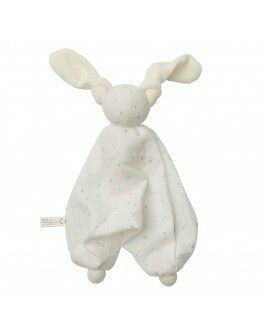 They are made of muslin very fine woven cotton, 100% organic that very soft to the touch for your baby when he is with the daily use cared. The tetra cloths are so finely woven so they are easy between the folds of baby's buttocks and ensure that your baby is beautiful spanked. 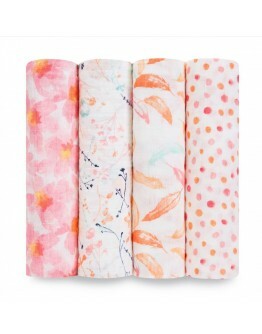 Thanks to the tetra cloth!This is a set of 4 tetra tetra cloth t..
Aden & AnaisAden & Anais swaddle petal bloomsThis tetra cloth and swaddle of Aden and Anais are multifunctional swaddles that are known worldwide. 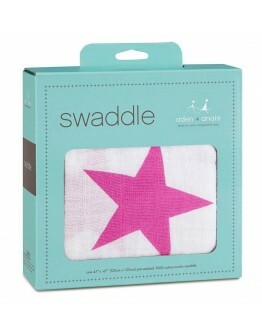 They are made of muslin very fine woven cotton, 100% organic that very soft to the touch for your baby when he is with the daily use cared. The tetra cloths are so finely woven so they are easy between the folds of baby's buttocks and ensure that your baby is beautiful spanked. 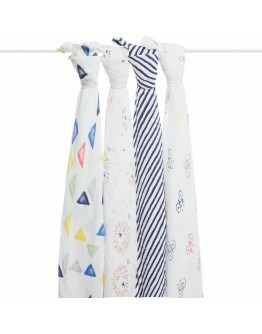 Thanks to the tetra cloth!This is a set of 4 tetra tetra cloth tow..
Aden & AnaisAden & Anais swaddle prince charmingThis tetra cloth and swaddle of Aden and Anais are multifunctional swaddles that are known worldwide. They are made of muslin very fine woven cotton, 100% organic that very soft to the touch for your baby when he is with the daily use cared. The tetra cloths are so finely woven so they are easy between the folds of baby's buttocks and ensure that your baby is beautiful spanked. 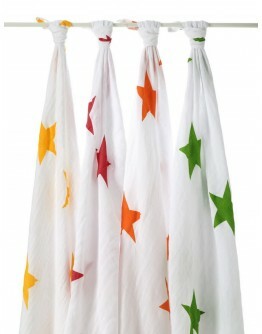 Thanks to the tetra cloth!This is a set of 4 tetra tetra cloth ..
Aden & AnaisAden & Anais swaddle super stars colors This tetra cloth and swaddle of Aden and Anais are multifunctional swaddles that are known worldwide. They are made of muslin very fine woven cotton, 100% organic that very soft to the touch for your baby when he is with the daily use cared. The tetra cloths are so finely woven so they are easy between the folds of baby's buttocks and ensure that your baby is beautiful spanked. Thanks to the tetra cloth! 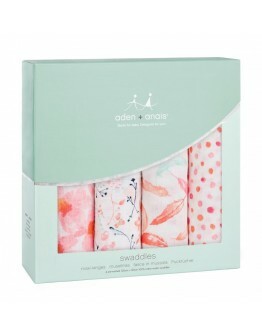 This is a set of 4 tetra t..
Aden & AnaisAden & Anais swaddle twinkle greyThis tetra cloth and swaddle of Aden and Anais are multifunctional swaddles that are known worldwide. 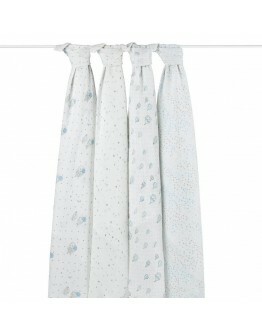 They are made of muslin very fine woven cotton, 100% organic that very soft to the touch for your baby when he is with the daily use cared. The tetra cloths are so finely woven so they are easy between the folds of baby's buttocks and ensure that your baby is beautiful spanked. 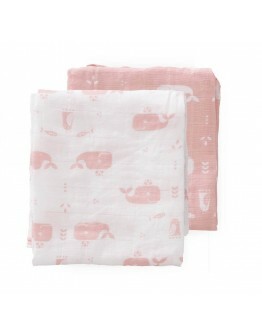 Thanks to the tetra cloth!This is a set of 4 tetra tetra cloth tow..
Aden & AnaisAden & Anais swaddle twinkle pinkThis tetra cloth and swaddle of Aden and Anais are multifunctional swaddles that are known worldwide. They are made of muslin very fine woven cotton, 100% organic that very soft to the touch for your baby when he is with the daily use cared. The tetra cloths are so finely woven so they are easy between the folds of baby's buttocks and ensure that your baby is beautiful spanked. 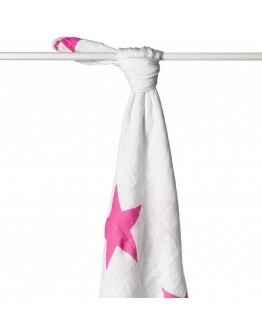 Thanks to the tetra cloth!This is 1 tetra tetra cloth towel w.. 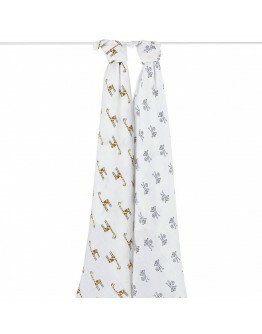 This tetra cloth and swaddle of Childwood swaddles of very fine material, which are very soft to the touch for your baby when he is with the daily use is spanked or cared. The tetra towels are that they are easy to wipe between the folds of baby's buttocks and ensure that your baby is beautiful spanked. Thanks to the swaddle! 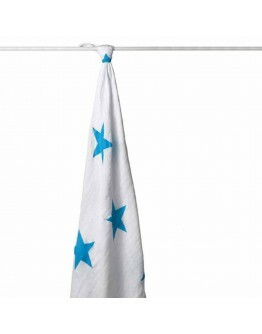 This tetra cloth is a set of four white towels from very fine woven fabric. 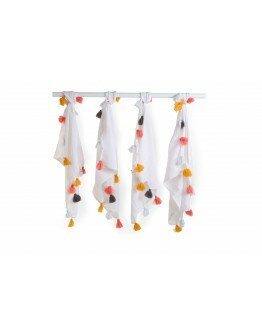 You will find this fun colorful pom poms where you cheer and immediately creates d.. 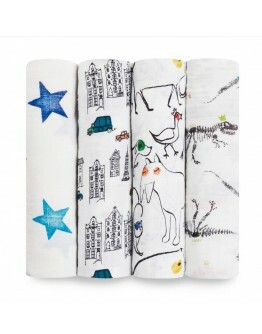 This tetra cloth and swaddle of Childwood swaddles is made of very fine material, which are very soft to the touch for your baby when he is with the daily use is spanked or cared. The tetra towels are so fine that they are easy between the folds of baby's buttocks and ensure that your baby is beautiful spanked. Thanks to the tetra cloth! 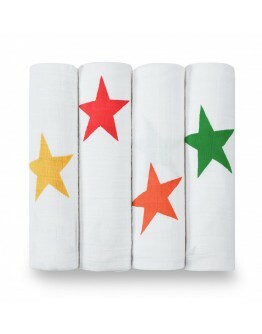 This is a set of five tetra tetra cloth towels from very fine woven fabric. 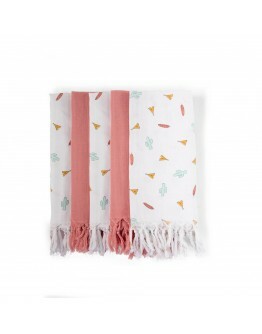 This set contains 3 swaddles tetra cloths with prints of Tipees, Cactus and .. 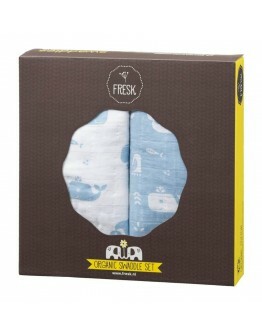 This tetra cloth and swaddle of Fresk swaddles are of very fine and open weave muslin cotton, which is very soft to the touch for your baby when he is carried for in the daily use. The tetra towels are so fine so they are easy between the folds of baby's buttocks and ensure that your baby is beautiful spanked. Thanks to the tetra cloth! 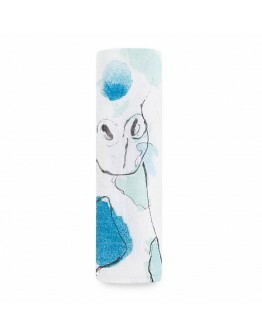 This is a set of two tetra tetra cloth towels from very fine woven fabric with a nice print of whales. 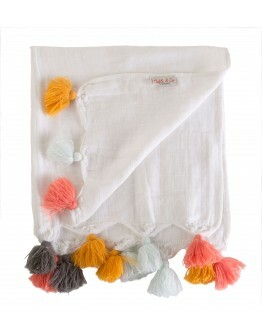 Of this tetra cloth is your baby immediately cheer.. 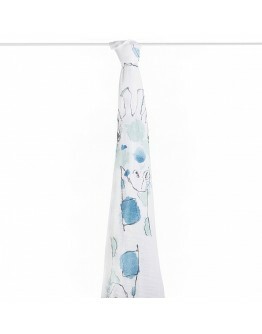 This tetra cloth and swaddle of Fresk swaddles are of very fine and open weave muslin cotton, which is very soft to the touch for your baby when he is carried for in the daily use. The tetra towels are so fine so they are easy between the folds of baby's buttocks and ensure that your baby is beautiful spanked. Thanks to the tetra cloth! 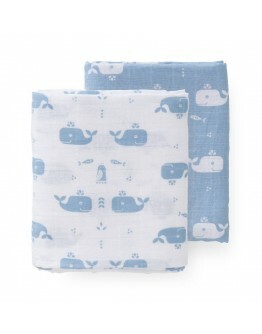 This is a set of two tetra tetra cloth towels from very fine woven fabric with a nice print of whales. 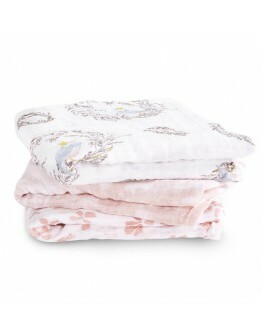 Of this tetra cloth is your baby girl immediately ..
HoppaHoppa cuddle cloth Floppy muslin house white-mintHoppa is a collection of handmade stuffed animals in natural materials, 100% organic cotton and hugs in very fine muslin organic cotton. The Hoppa assortment has cuddles, cloths, hugs, crocheted rattles and dolls. There is a suitable hug for every child. Every Hoppa cuddle is a unique one. Each hug is designed and handled with care and is fair trade only!These cuddles or doudou's are made of softest muslin organic cotton, the ears are m..
Hoppa cuddle cloth Floppy muslin stars white-blueHoppa is a collection of handmade stuffed animals in natural materials, 100% organic cotton and hugs in very fine muslin organic cotton. The Hoppa assortment has cuddles, cloths, hugs, crocheted rattles and dolls. There is a suitable hug for every child. Every Hoppa cuddle is a unique one. Each hug is designed and handled with care and is fair trade only!These cuddles or doudou's are made of softest muslin organic cotton, the ears are made o..
HoppaHoppa cuddle cloth Floppy muslin whale white-blueHoppa is a collection of handmade stuffed animals in natural materials, 100% organic cotton and hugs in very fine muslin organic cotton. The Hoppa assortment has cuddles, cloths, hugs, crocheted rattles and dolls. There is a suitable hug for every child. Every Hoppa cuddle is a unique one. 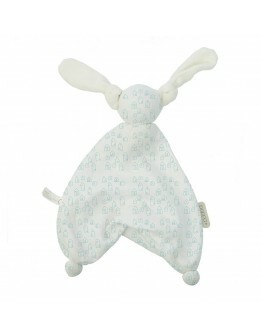 Each hug is designed and handled with care and is fair trade only!These cuddles or doudou's are made of softest muslin organic cotton, the ears are m..